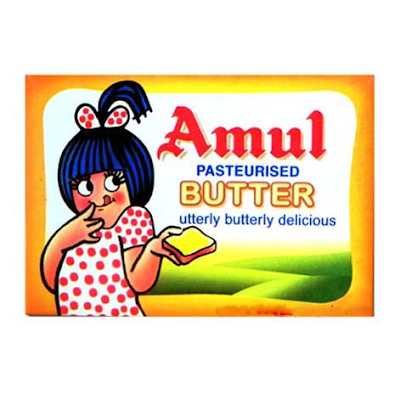 Today I am going to tell about one of the well-known company of India i.e Amul, The Taste Of India. After being a graduate of science, bachelor of engineering and master of science, if someone works for dairy products, what would you think of that person? But rightly it is told that "no work is big or small, if you do it with sheer determination and affection." This is proved by Verghese Kurien who is known as the founder of Amul. The foundation of Amul was laid in 1946 when India was under the control of Britishers and in Gujarat, people were bound to hand over their milk production to the Britishers for free which was a big loss to our economy. But the poor milk men had no way out. Only few dairy companies existed in India at that time which were actually cooperative with Britishers. And to return the rights of the poor people, 3 great men of India including Vallabh Bhai Patel started the Amul company. It was registered as a corporate company in Dec 1946. Later, Verghese Kurien joined this corporate company only to help the poor men of India. He was that time a master in science. He could have excelled in his field by doing a good job and having a good family life. But he chose a different path - to help our countrymen. The biggest and first struggle for him was Polson dairy which had its sway all over India and the poor milkmen had to sell their milk at cheap prices to Polson. Then, he along with. many other leaders went to make people realize about their rights and understand about benefits of joining their corporate. 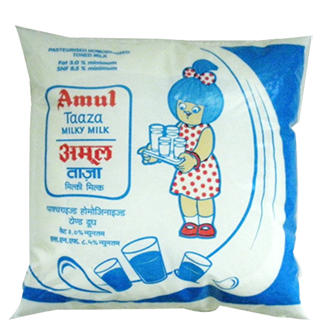 Gradually people understood and began to sell their milk produces to Amul with good prices. So with time, many people's name got registered to Amul. Isn't it rightly said that there is victory where there is unity? Gradually, Verghese developed excellent models so that Amul started to reach nooks and crannies of our country. To ensure quality of milk, he established various levels - village level, district level and state level where the milk was packed. And gradually, Amul company touched big heights. Verghese Kurien experimented making milk powder from Buffalo's milk. Many scientists had refused this but Verghese proved them wrong by producing Amulya. And today, apart from milk and milk powder, Amul produced paneer, ghee, butter, ice cream etc. For such tremendous determination and hard work, Verghese Kurien was awarded with Padma Vibhushan, Padma Shri and Krishi Ratna. Finally he came to be known as Milkman of India. Verghese died in 2012 at Gujarat. But his deeds are still present among us. Today the Amul's business model has helped India to emerged as a largest producer of milk in the world. More than 15 million milk produce milkman pour their milk in 144500 dairy co-operative societies across the country. Their milk is processed in 184 district co-operative unions and marketed by 22 state market federation. This makes sure a better life for millions.